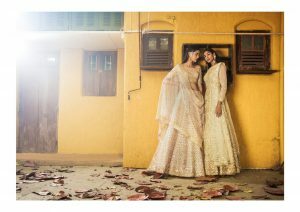 We would love to be a part of your party dressing stories and lists. Please do let me know if I could assist you with any other details. 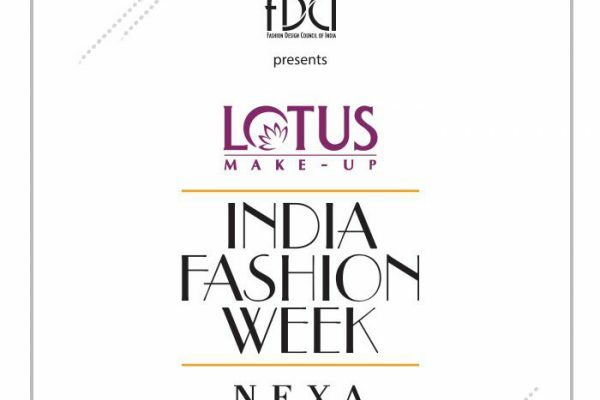 The Fashion Design Council of India (FDCI) has announced a unique grand finale on the ultimate day of the Lotus Make-Up India Fashion Week in association with NEXA Spring Summer’19 to be held from October 10 to 13 at the Jawaharlal Nehru Stadium. 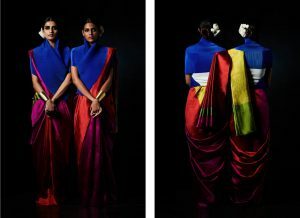 The last day will see a holistic tribute in the form of a ‘Rainbow’ show to mark the historic article 377 judgement by the Supreme Court of India repealing this draconian law. Inclusivity has been a recurring theme this year whether it is weight, imperfections, skin colour or the choice and gender of your partner. 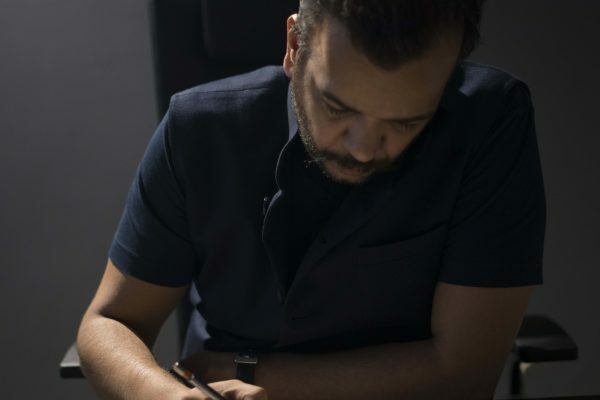 Around 40 designers from across the country will interpret what they believe best represents this verdict which pays homage to tangible equality and decriminalises a certain section of humanity. 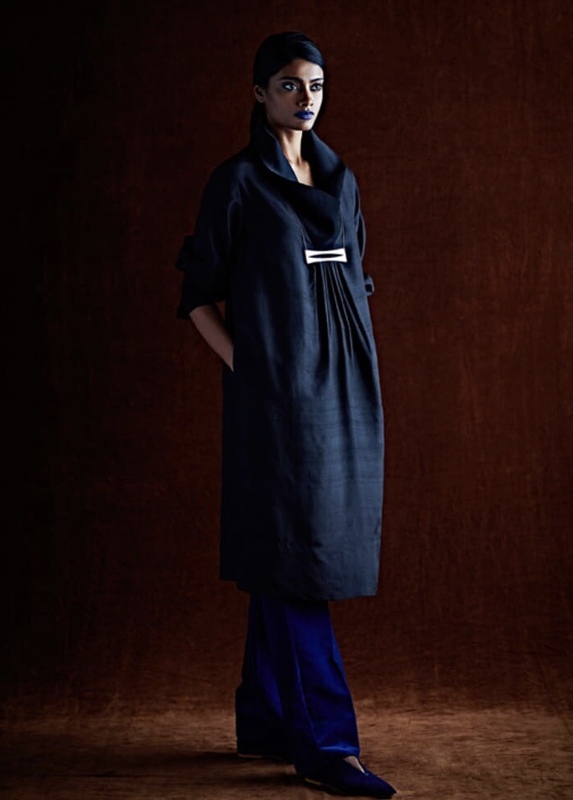 The list of designers include Abhishek Gupta , Abraham & Thakore, Alpana Neeraj, AM:PM, Amit Aggarwal, Anavila, Arjun Khanna, Arjun Saluja, Ashish N Soni, Atsu, Dev r Nil, Dhruv Kapoor, 11:11 / Eleven Eleven, Gaurav Gupta, Huemn, Ikai by Ragini Ahuja, Kiran Uttam Ghosh, Kommal Sood, Lovebirds, Manish Malhotra, Manoviraj Khosla, Mynah’s Reynu Taandon, Namrata Joshipura, Nandita Basu, Nitin Bal Chauhan, Pankaj & Nidhi, Payal Jain, Poonam Bhagat, Rabani & Rakha, Raghavendra Rathore, Rahul Mishra, Rajesh Pratap Singh, Rimzim Dadu, Rina Dhaka, Rohit Gandhi + Rahul Khanna, Samant Chauhan, Shivan & Narresh, Siddartha Tytler, Suneet Verma, Varun Bahl, Vineet Bahl, Vivek Karunakaran and Wendell Rodricks. 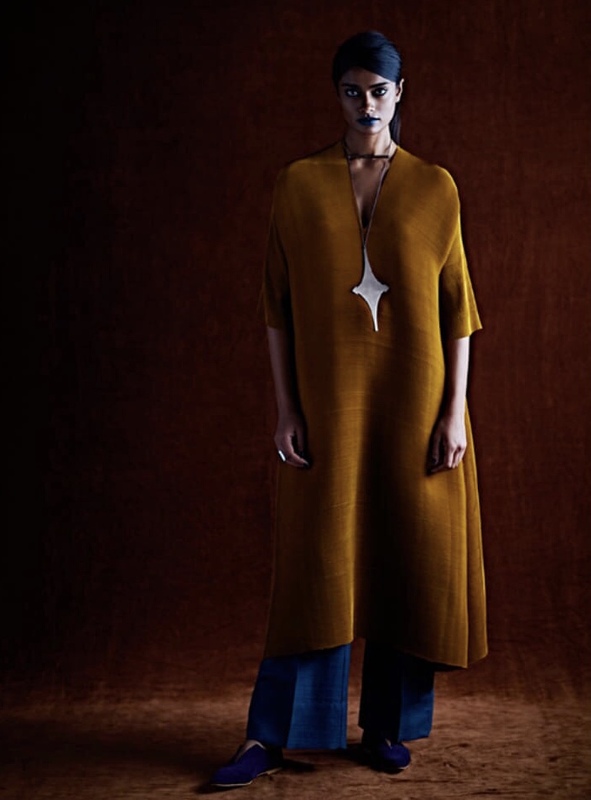 Lumière takes inspiration from all that is luminescent & whimsically irregular, elevating the traditional into contemporary couture. Layers of sweeping tulle, combine seamlessly with cascading georgette – flattering and unapologetically feminine. 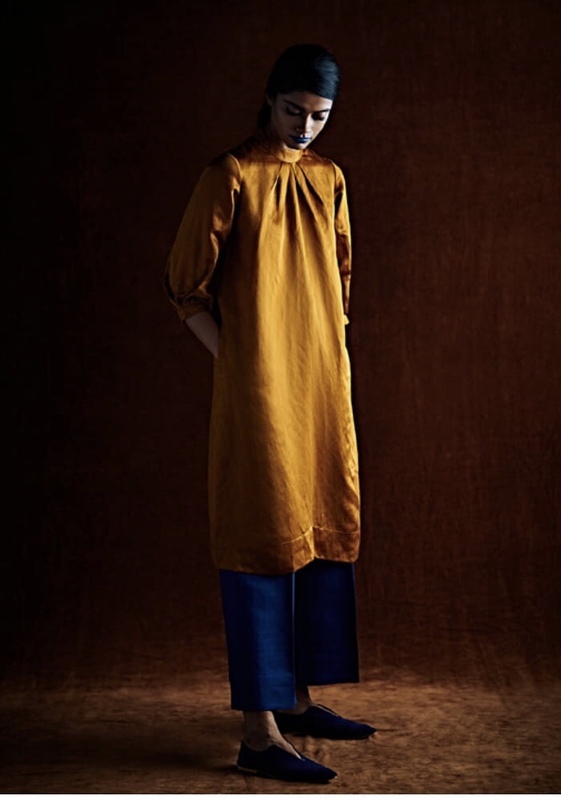 Rich gem tones combine seamlessly with consistently flattering neutrals and add a chic versatility to the collection. With plenty of lacework, ruffles and tubular beading, intricate sequins & subtle shimmer, Lumière fulfills all your fashion fantasies. 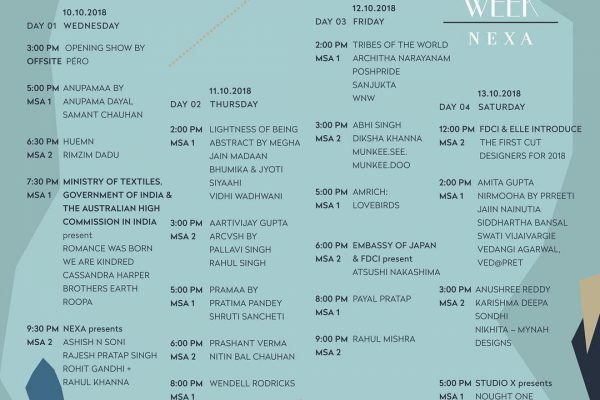 Amit Aggarwal, a pioneer in innovative textile crafts & structured design, will be showcasing his collection for the very first time at India Couture Week 2018. 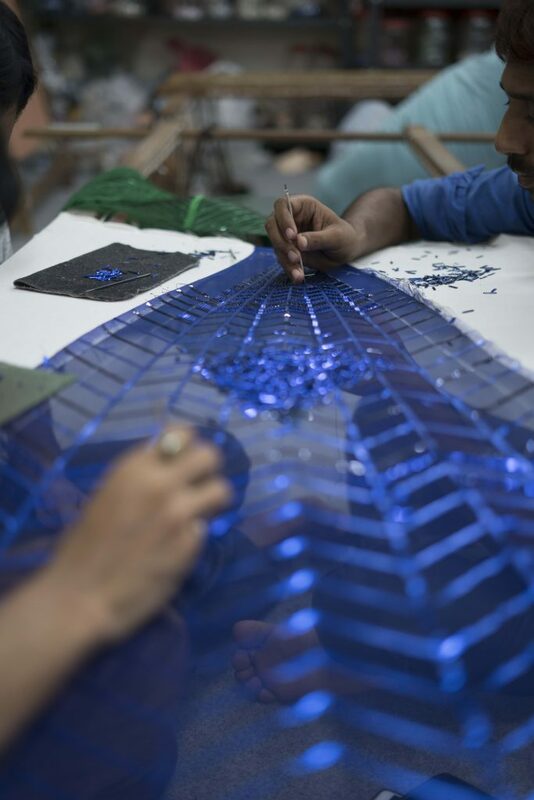 Amit Aggarwal has long pioneered in engineering modern and innovative couture inspired by nature’s awe-inspiring forms, while seamlessly combining India’s rich textile heritage and our commitment to environmental sustainability. 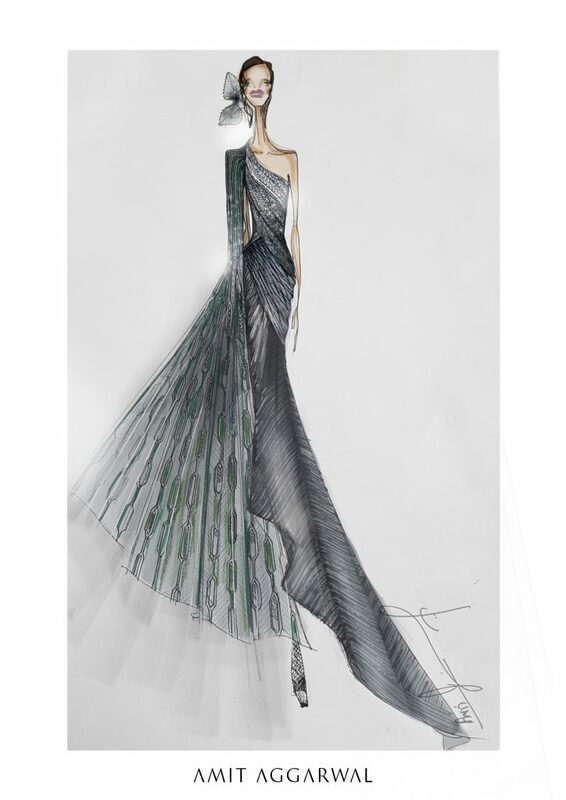 In line with this vision, our Couture 2018 collection has been inspired by two wondrous natural phenomena, the formation of crystals at a molecular level and the enveloping of the metallic chrysalis around a butterfly cocoon. We’ve titled our collection Crystalis, a derivation of words crystal and chrysalis. When molecules come together to form a highly ordered microscopic pattern, which then repeats itself infinitely, a crystal is formed. 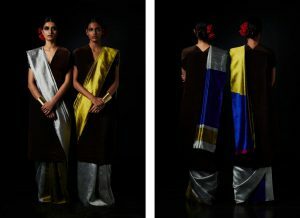 This phenomenon greatly resonates with our design process, one that’s centered on forging unique materials together to create singular design units and then repeating them to create complex patterns, textiles and embroideries. The form and texture of our design elements too have been specifically designed to be sharp, angular and crystalline in appearance to reflect this core inspiration. 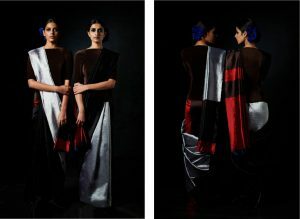 The metallic encasing that forms around the cocoon of a butterfly, the chrysalis, has been a formative aesthetic influence in this collection in equal measure. 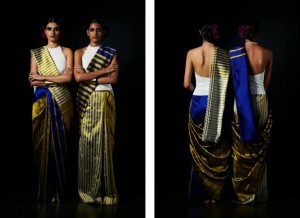 Our metallic and crystalline textiles sculpt, drape and travel in much the same way, eventually unravelling to reveal the elegant form of the female body. 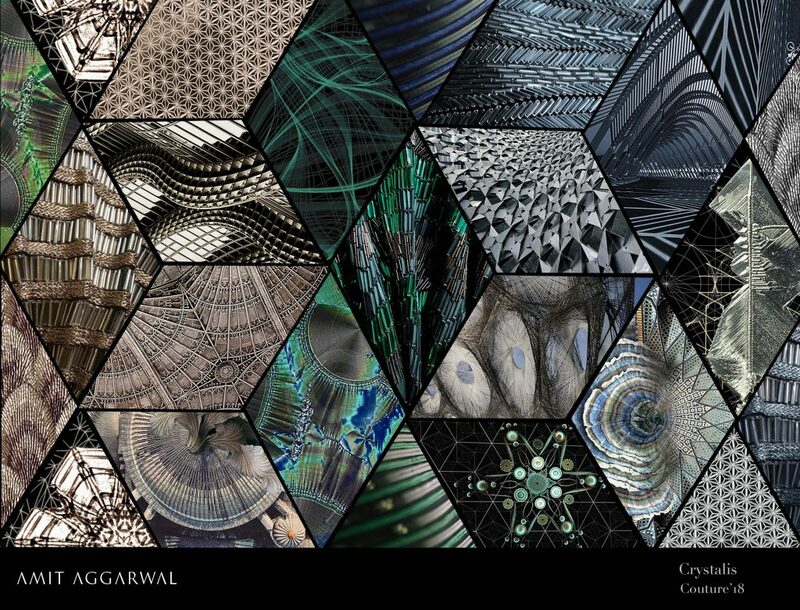 Both concepts are bound at their very core by the idea of units, sometimes geometric and sometimes organic, coalescing together to form complex structural formations in our physical world. 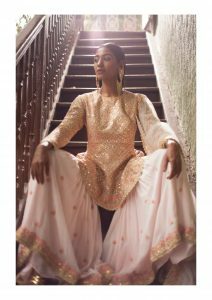 Our color palette consisting of jewel tones of rose quartz, silver onyx, emerald, amethyst, topaz and sapphire, as well as metallic shades of rose gold, silver, pewter and light gold have been specifically tailored to bring the aforementioned concepts to life most accurately. 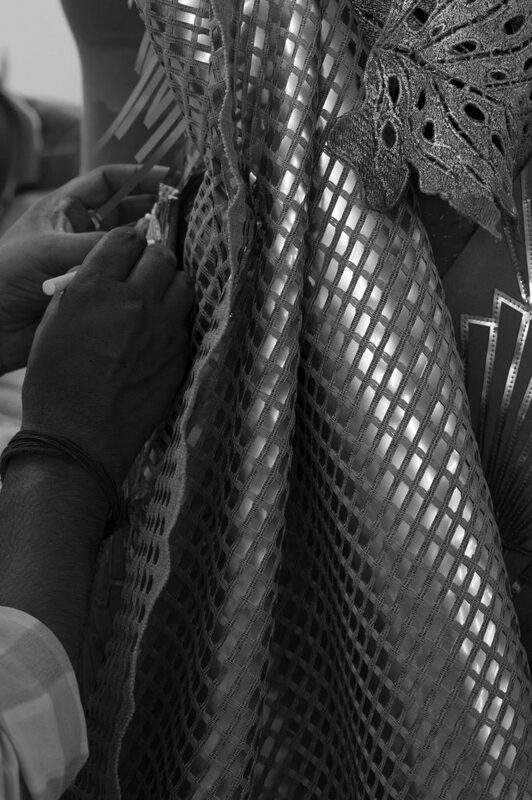 Experimental textiles, created using modern industrial materials applied through traditional Zardozi and Ari hand techniques, have been a hallmark of our couture designs. 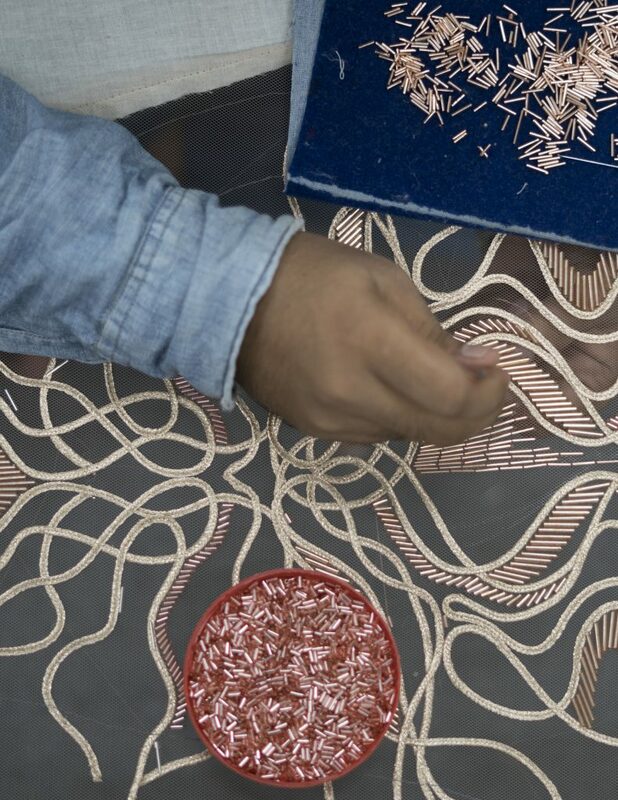 For this collection, we have explored a range of hand done three-dimensional embroideries in various crystalline and bio mimicked forms and motifs to give our fabrics a unique visual and tactile quality. 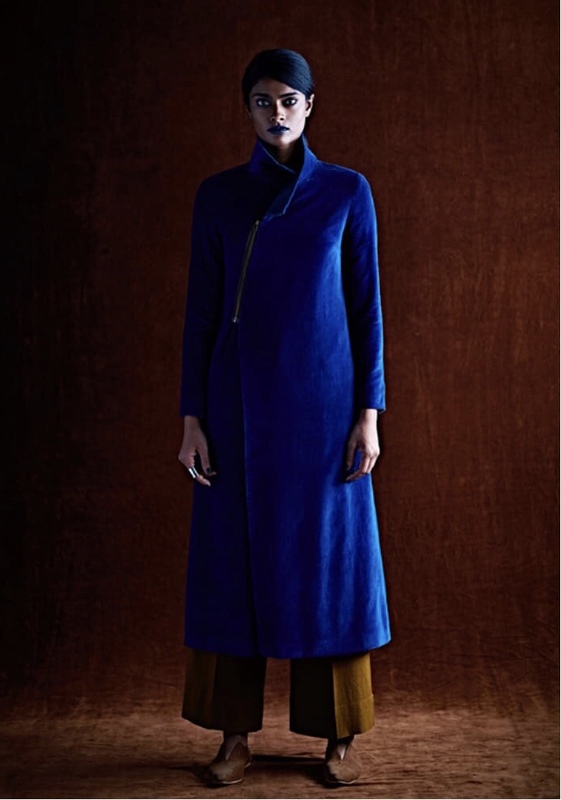 We also embarked on an exciting collaboration with ‘Taani’ by Tanira Sethi to create one-of-a kind, engineered and embellished cashmere draped pieces for our Couture 2018 collection. 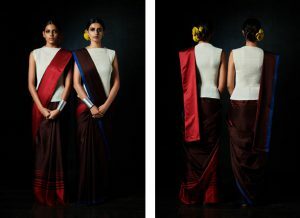 These fabrics were meticulously woven in France using specialized machinery and subsequently embroidered and sculpted in partnership with textile designer Tanira Sethi at our studio to create innovatively draped couture pieces. 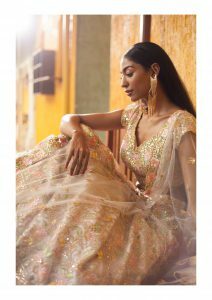 One of the most compelling stories in our Couture 2018 presentation has been our extensive silhouette exploration, morphing different aspects of traditional Indian and western couture shapes with each other and infusing them with structure and form. 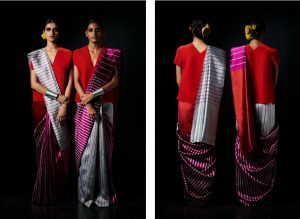 We have achieved this using a range of sophisticated cording, plisse and topstitched fabrications, laboriously designed and crafted in-house. 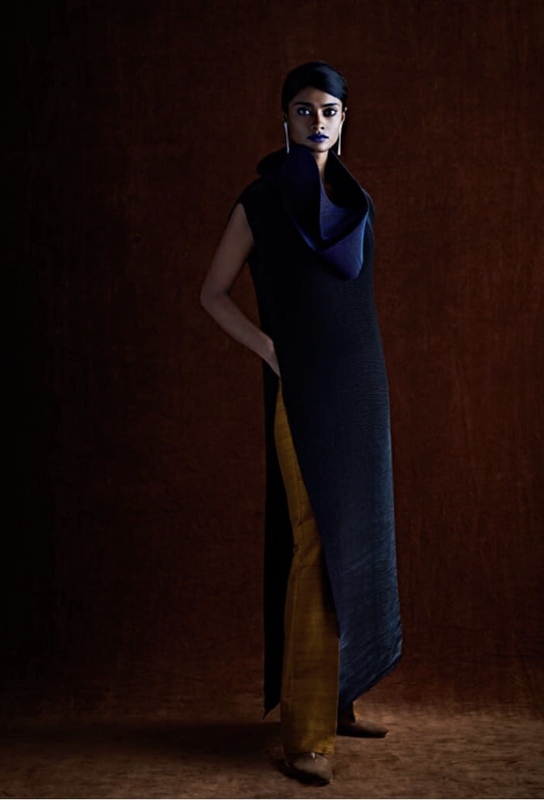 Sharply cut innovative patterns, that accentuate and enhance the female form, have been combined with incredibly sculptural yet agile fabrications that dramatically drape around the body, creating a new and inimitable couture language. 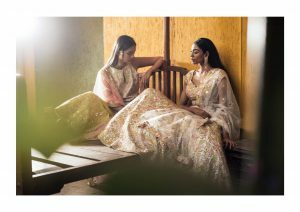 Our vision for showcasing our Couture 2018 collection titled ‘Crystalis’ at the India Couture Week has been brought to life in collaboration with some leading designers and artists from across the country. 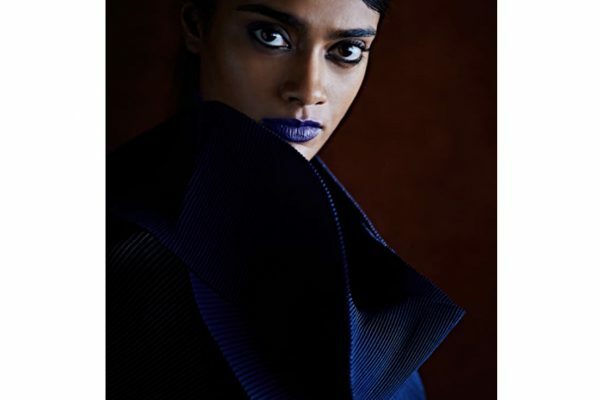 Outhouse has been at the forefront of creating contemporary jewellery inspired by various natural forms, both organic and geometric, using techniques employed to design fine jewellery. 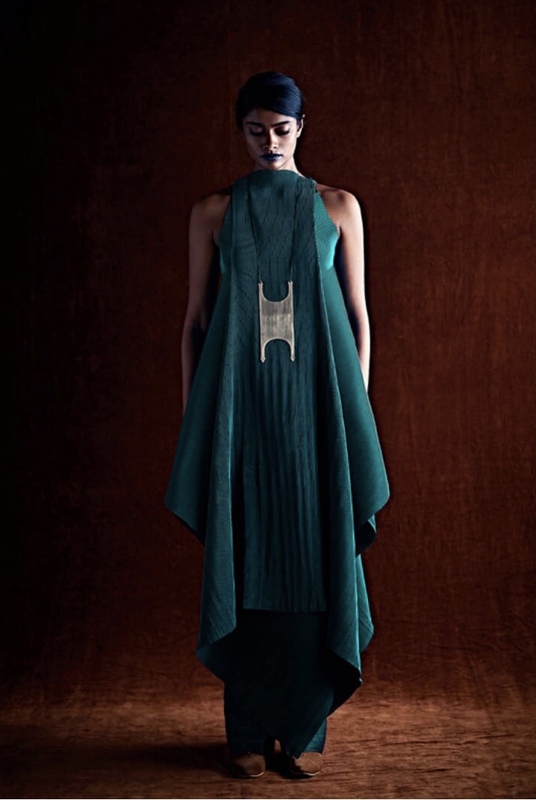 For Couture 2018, we collaborated with Outhouse in designing jewelry inspired by various complex crystalline structures and intricate organic forms such as that of the metallic chrysalis cocoon. 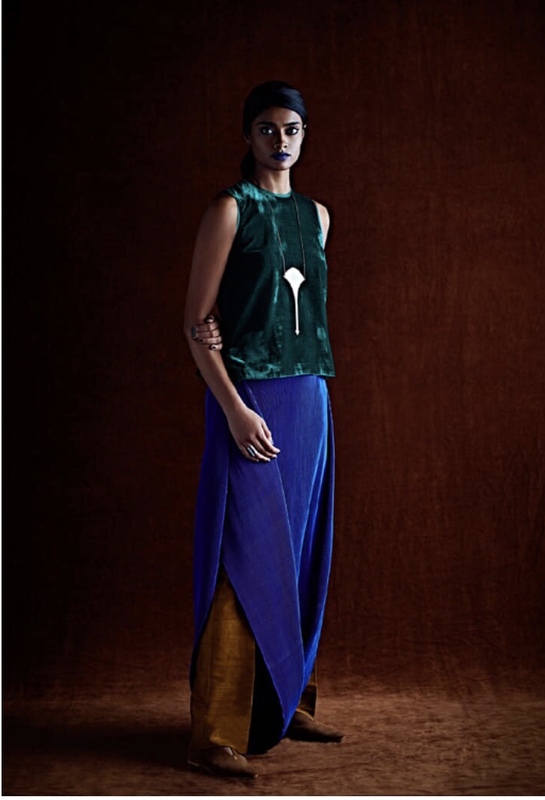 All the jewellery pieces have been crafted using materials and metallic colours that lend effortlessly to our collection’s colour palette. 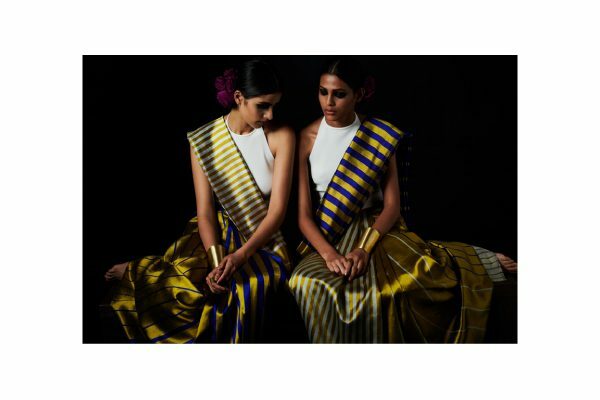 Each of our couture pieces have been teamed with footwear designed in collaboration with Nidhi Bhandari. A range of our textile techniques, from our signature polymer details to opulent bugle bead embellishments, have been employed to craft the shoes. 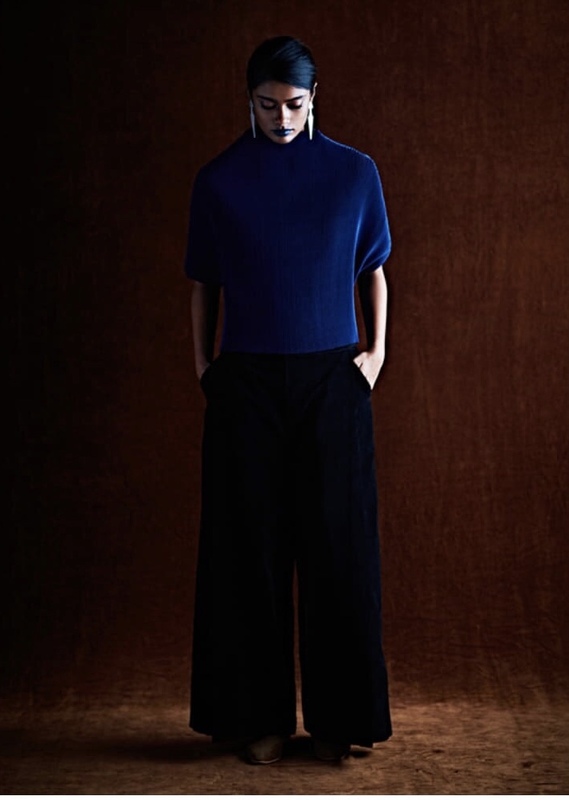 Ultimately, helping us compose each of our couture looks to the final detail. 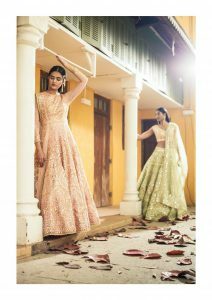 This season, indulge in our all new collection as fine craftsmanship gracefully romances with soft pastels to create exquisite ensembles. 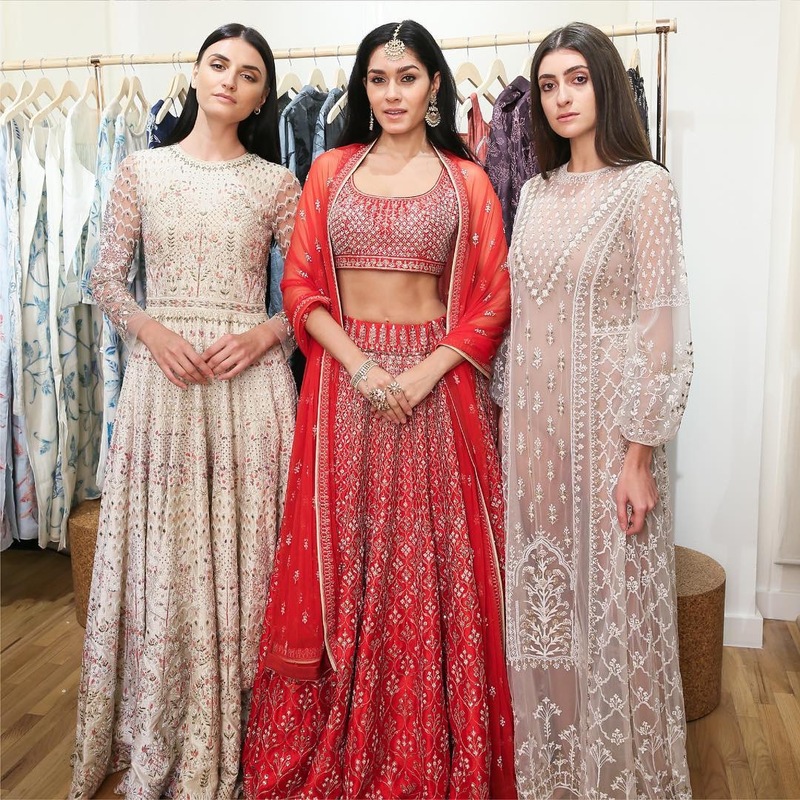 Our latest SS18 collection, ‘Summer Bloom’ highlights intricate mirror embroideries with immaculate detailing to present this season’s staples, ideal for fairy tale weddings. 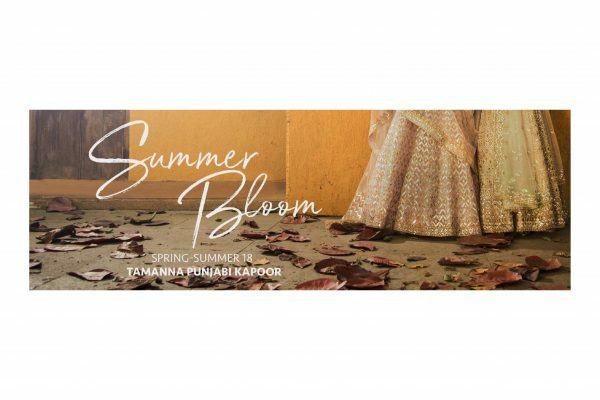 Behold sun kissed pastel hues as they culminate with traditional artistry to present Tamanna Punjabi Kapoor’s signature floral embroideries and mirror work. 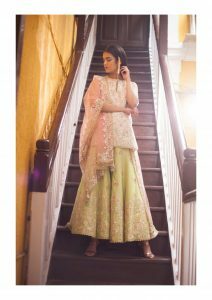 A fine example of striking mirror embroideries combined with subdued pastels, these alluring attires are perfect for the festive season. 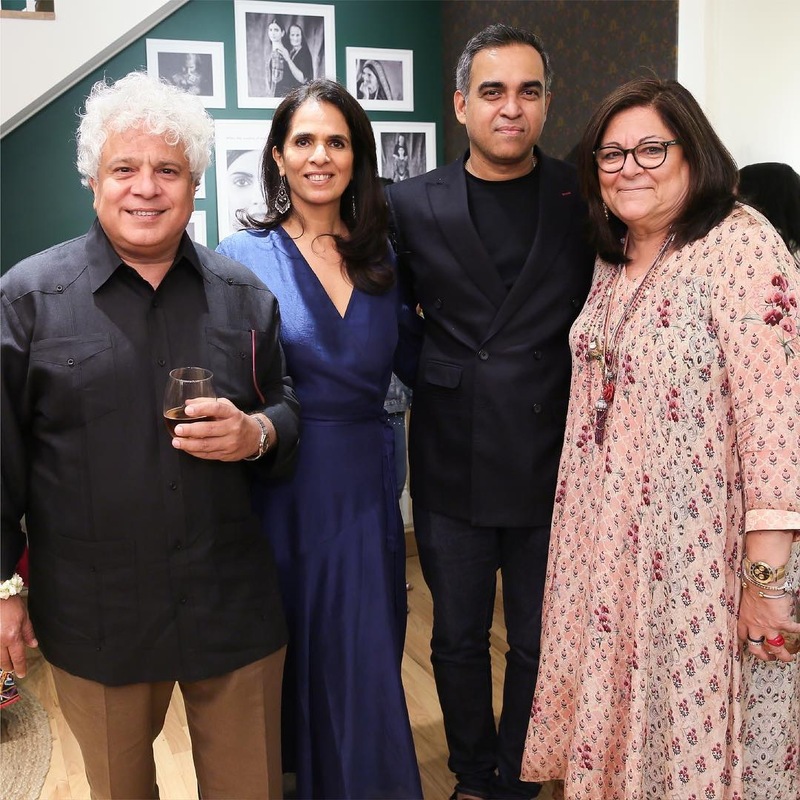 Having received so much love and appreciation for Grassroot, we are super thrilled to announce that Anita Dongre has now launched her first flagship store in the the city of dreams – New York. 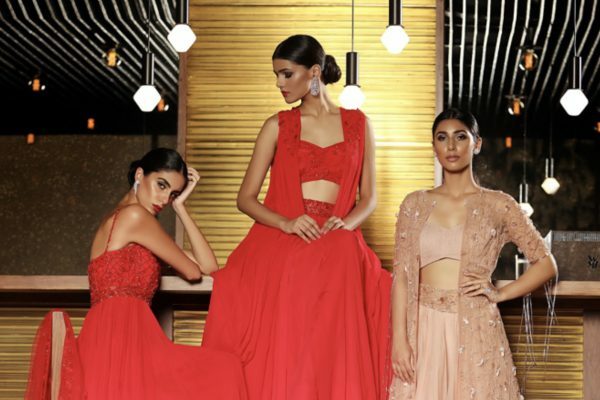 The new store will house the sustainable luxury brand Grassroot, Anita Dongre bridal couture, menswear as well as Anita Dongre pret all under one roof. 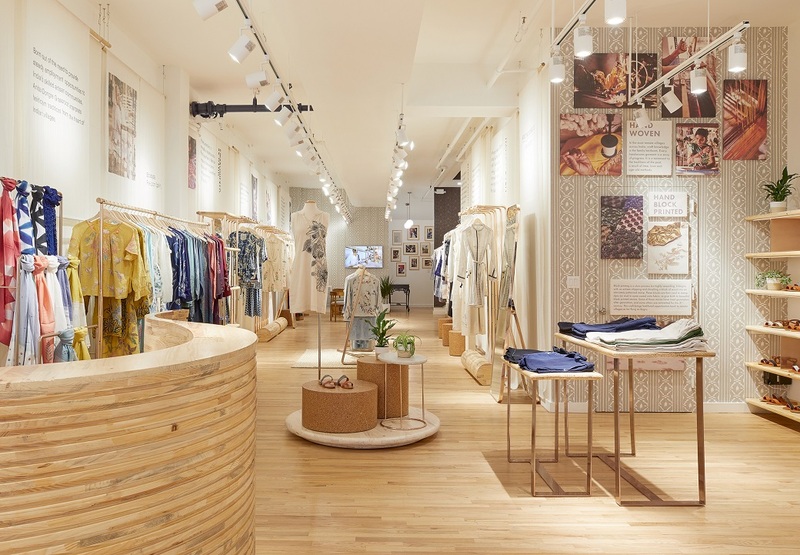 The beautiful space is located at the iconic 473 West Broadway, a pre-war building dating back to the 1900s, in the heart of New York’s most vibrant shopping thoroughfare. 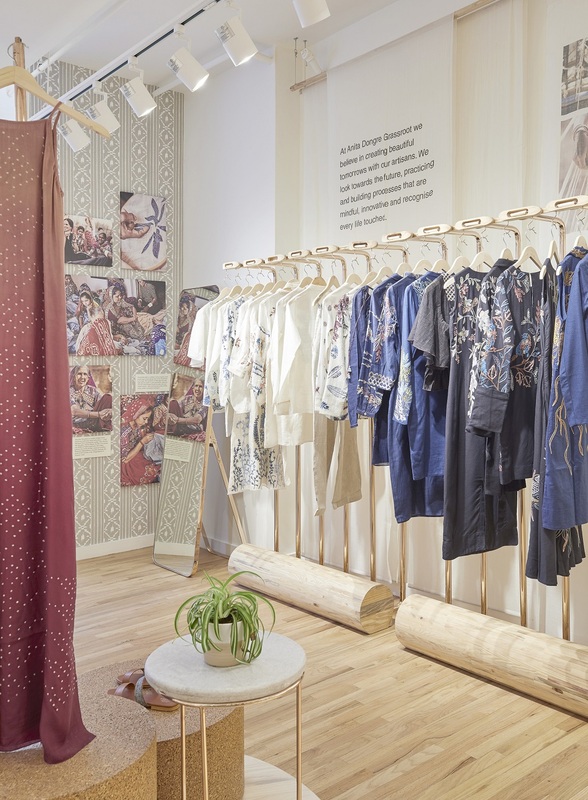 The store occupies three storeys and spans over 4,500 square feet. 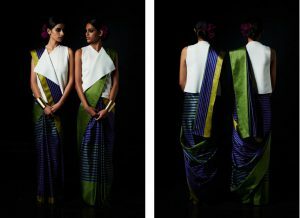 The lower level is dedicated to menswear as well Anita Dongre pret and features dark grey floors and traditional Indian tile-framed mirrors. The ground level is dedicated to Grassroot, and features natural wood floors and fixtures with brass hardware. 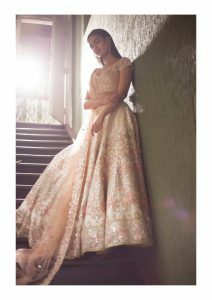 The top most level is dedicated to her bridal, ready-to-wear and fine jewelry collections. The interiors of each section are carefully curated creating a holistic experience. 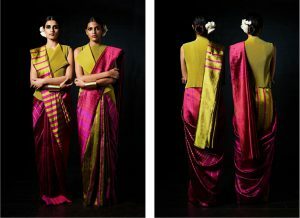 The Grassroot space, truly emotes the brand’s philosophy – revive, sustain & empower. The décor is accented by elements in rose gold, cork and sustainable sourced wood. 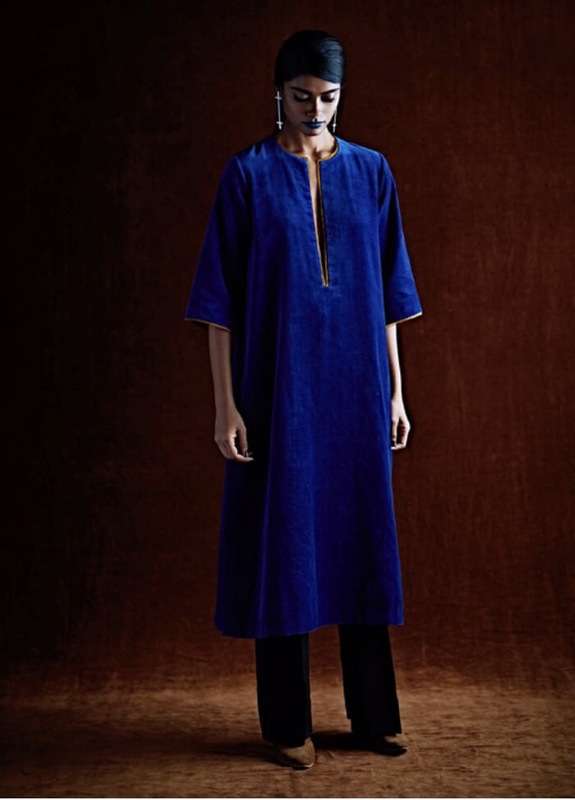 Every detail is special in this section, from custom-made racks that give a nod to the humble shuttle which is used to hand weave fabric and dreamy wall panels of handwoven chanderi and handspun cotton that narrate the journey of the brand. A unique feature in the new interiors is the ceiling that has reels running across with suspended installations of garments, allowing a three-dimensional view of the pieces. 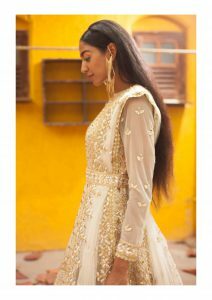 The Anita Dongre bridal, pret and menswear sections on the other hand, seek to recreate spatial patterns of the architecture of Rajasthan, a region that influences Anita’s work significantly, transporting us to the bygone era and regal splendour of a stately Haveli, spread across two floors. 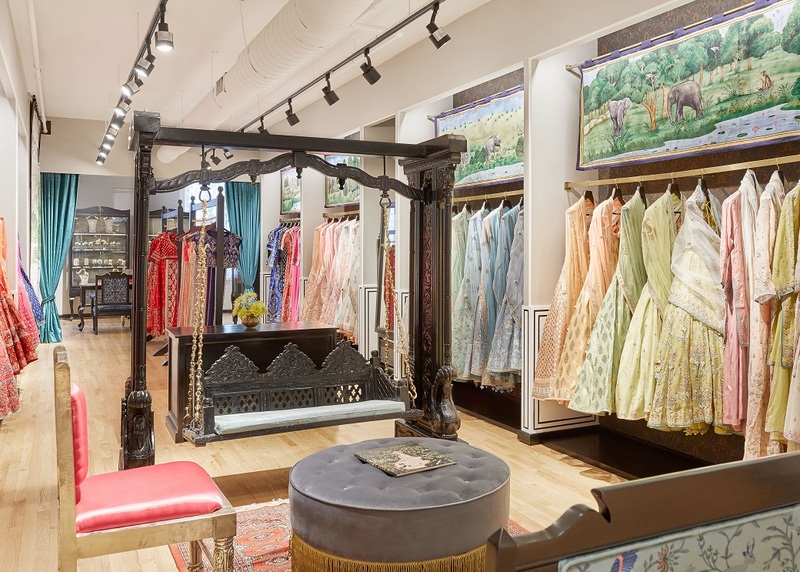 Much like old Indian homes, the rooms of the store meander into one another without any formal delineation—a progression of spaces akin to a home, with many rooms and passages intermingling. The space takes shape with the various architectural elements that define Rajasthan – arches, jallis, nooks & corners, niches & alcoves. Simple classic hand-crafted furniture with inlay and white metal are inter-spaced with bespoke colonial furniture upholstered in custom designed embroidered fabrics, lending an ambiance of quiet luxury and elegance. The launch was co-hosted by her dear friend Fern Mallis. 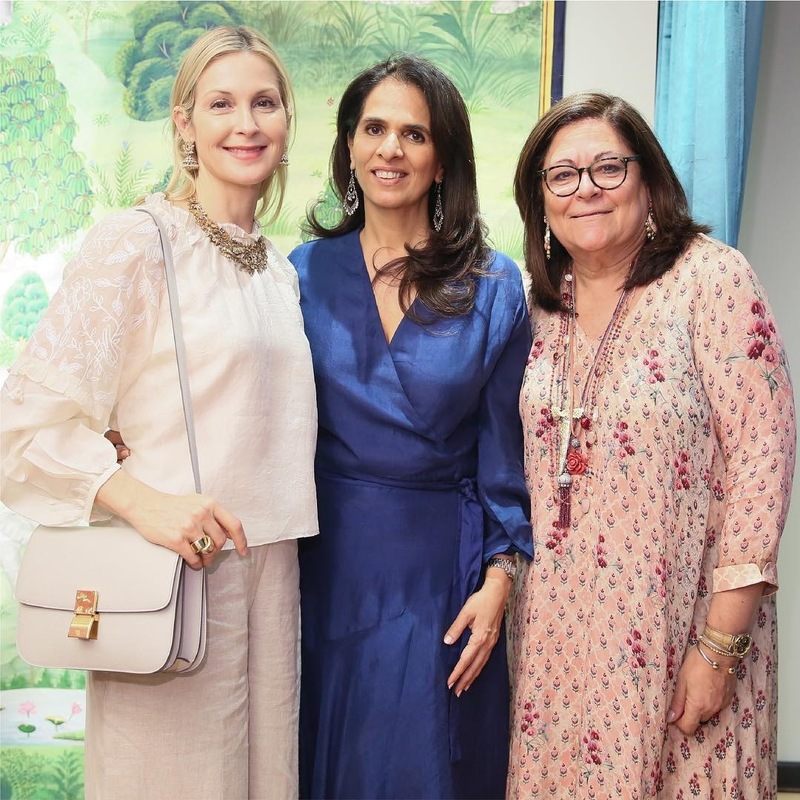 Kelly Rutherford, Courtney Sharma, Monica Dogra, Bibhu Mohapatra, Babi Ahluwalia, Suhel Seth, Diva Dhawan, Rasika Navare, Maria Che, Elizabeth Zayas, Megan Brody and Ashika Pratt were some of the guests who joined in the celebrations.